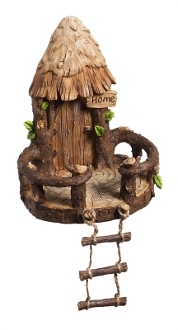 Fairy Tree House with Ladder For Miniature Gardens - EXCLUSIVE. Can be hung on branch. Fairy and log shown not included. 6" x 7.25"